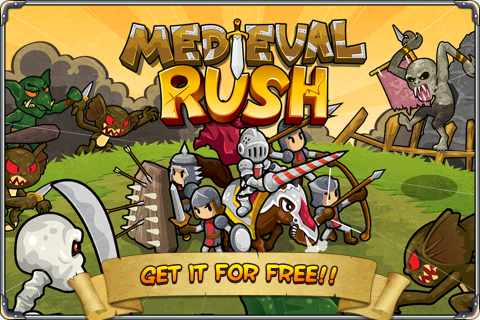 Medieval Rush – Brand new Defense game is now released. Medieval Rush – Fungrep’s Brand new Defense game is now released. Make undefeatable hero from commoner through training and improving! Try to save your kingdom from invasion of Evil force! – First defense game which can unit controll one by one! – Attack monster base that applied physics engine! – +90 exciting stages for challenging across +4 areas! 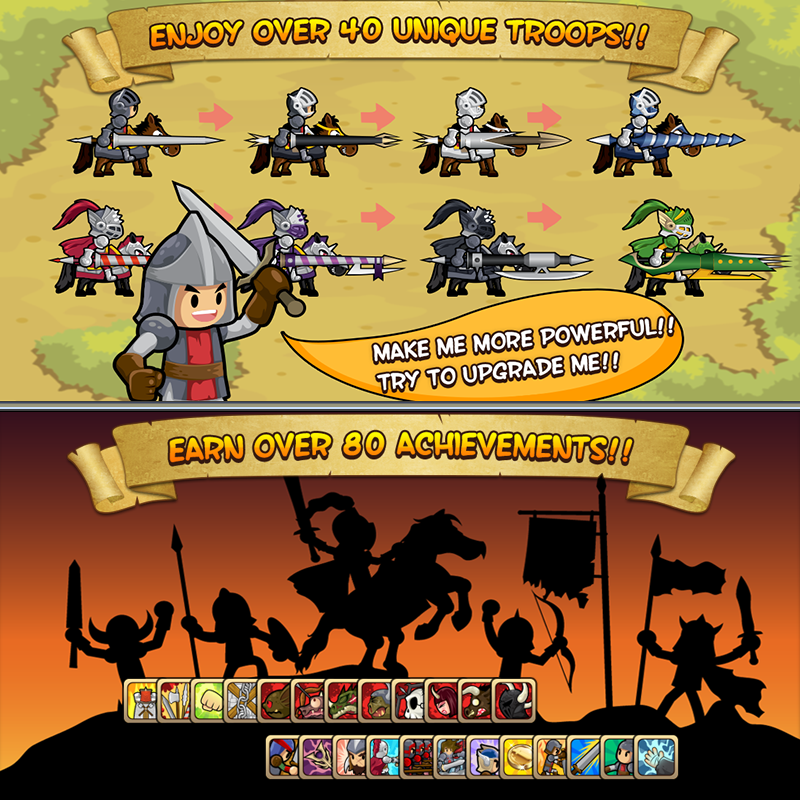 – A soldier from medieval on your screen, +24 awesome soldiers, could be selected and improved by your taste. – +43 Evil units, will make you keep your tension! 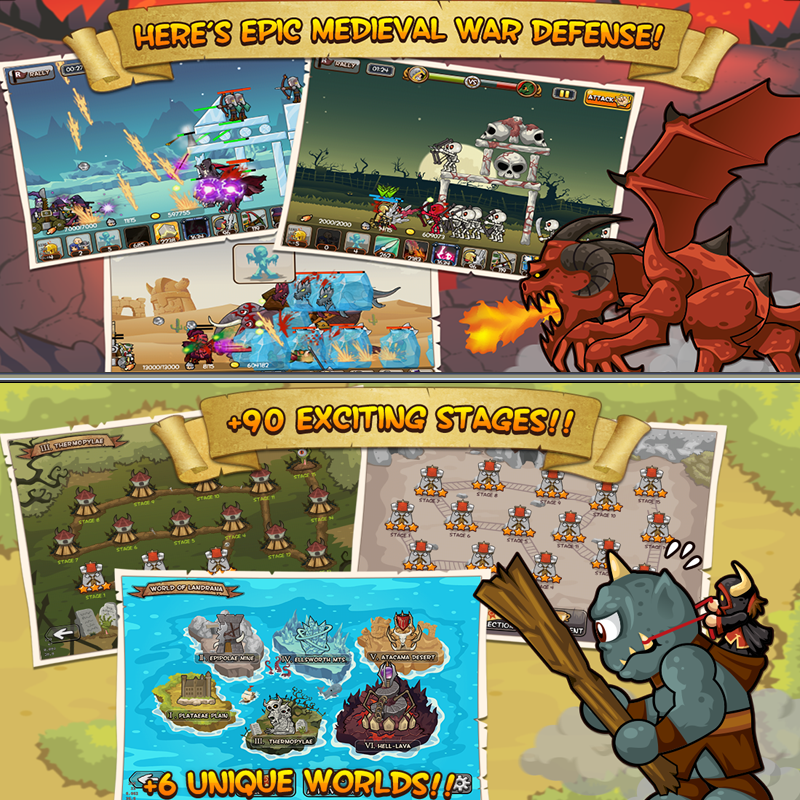 – +28 fancy skills and items which can turn the tide of the war! – Enjoyable and challengeable +86 Achievements!! The king who borrowed the power from Evil force, finally have been slain by Evils. And Evil force conquered the human kingdom and make them to their slave. But there is a hope! Brilliant war commanders are assembled and you elected as a head commander by them. Now you make your own way to defeat Evil force, under everyone’s hope and support.